Home Miss Golden Land Myanmar Miss Myanmar Miss Golden Land Myanmar 2016 Queens Crowned! Miss Golden Land Myanmar 2016 Queens Crowned! 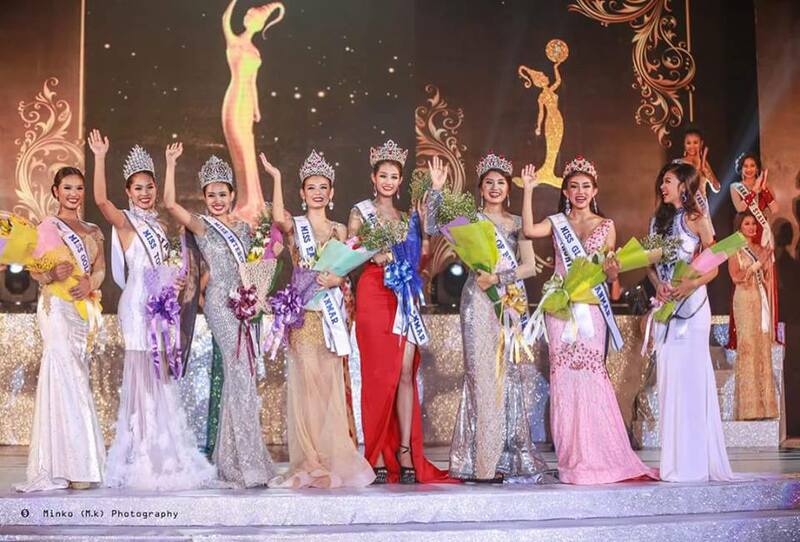 Despite of 6.8 magnitude earthquake that struck in the country two days ago, the new Miss Golden Land Myanmar queens were crowned last August 26,2016 at the Myanmar Convention Center in Yangon. They now carry the great responsiblity of representing the 'Land of Pagodas" at Miss Earth 2016 in the Philippines, Miss Supranational 2016, Miss Tourism 2016, Miss Intercontinental 2016 in Sri Lanka in September and Miss Globe Pageant. Miss Golden Land Myanmar Organization is the most successful beauty pageant organization in Myanmar. Miss Golden Land Myanmar Organization is owned and headed by Mr. Wai Yan Aung and Mr.Han Zaw Latt. On its third year, the pageant has been annually held for selecting five major winners of Myanmar representatives for international pageants. The biggest winner that night is People's Choice Awardee Nan Khine Shwe Wah Win from Kayin State who was crowned Miss Earth Myanmar 2016 and gaining the right to represent Myanmar at Miss Earth 2016 competition to be held on October 29, 2016 in the Philippines.